In March, Rogers Memorial Hospital will add two new programs to provide treatment for Post Traumatic Stress Disorder, depression, bipolar disorder and mood disorders. Rogers Memorial Hospital — operating under its parent organization, Rogers Behavioral Health, with locations across the nation — is a non-profit provider of mental health care in Madison, according to the hospital’s website. Madison’s location will add the two programs to a set of existing programs treating Obsessive Compulsive Disorder, anxiety and eating disorders. 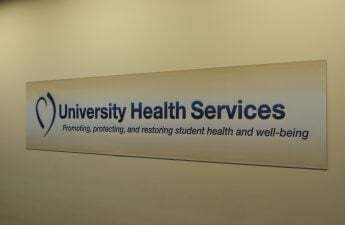 A partial hospitalization program for patients with PTSD will be available on March 12 and will combine cognitive behavioral therapy and prolonged exposure therapy to resolve traumatic experiences and reduce trauma-related fears. Prolonged exposure is the most proven and scientifically tested treatment for survivors of trauma like violence, sexual assault, accidents and child abuse, according to an email sent to The Badger Herald. On March 26, the Focus program will open and offer treatment for adults with depression, bipolar disorder and other mood disorders. Madison’s program is based on a partial hospitalization model patients used in Oconomowoc Wisconsin, where patients stay in homelike settings for 45 to 60 days on average and participate in different forms of therapy, meditation and group work while completing daily living responsibilities, according to the program’s website.